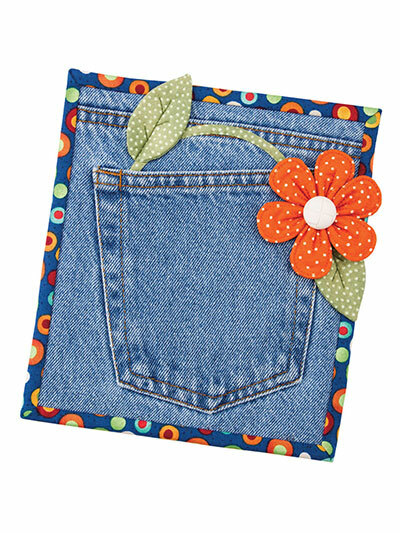 Recycle a favorite pair of jeans into a useful hot pad! 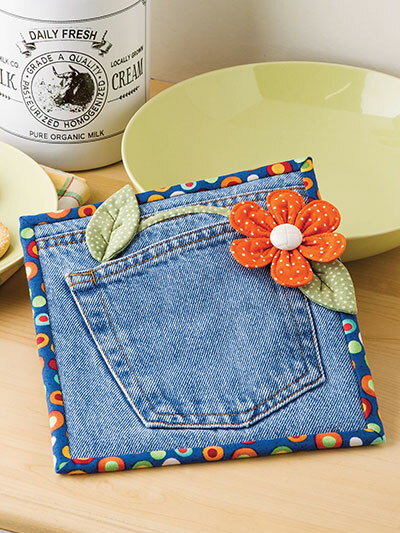 A clever way to brighten you kitchen using a pretty hot pad made from jeans. Size 7 1/2" x 8 1/2".